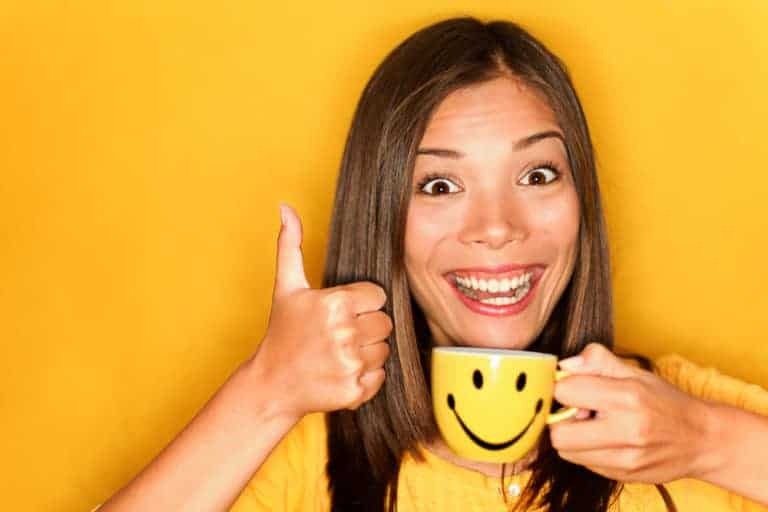 Drinking only black coffee in the morning? Check. Eating all your day’s food between 12pm and 8pm? Check. Totally confused as to why the weight isn’t melting off? Check. 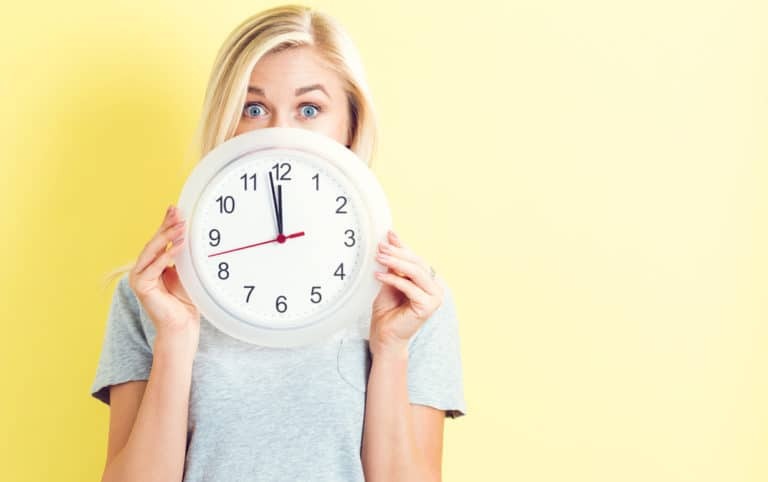 If you’ve been intermittent fasting for what feels like forever, yet you’re not getting those crazy insane fast weight loss results everyone else seems to be, you might be wondering what the eff is going on. Why am I not losing weight on intermittent fasting? What’s wrong with me? Fear not, because in this article I’m going to share 10 reasons why you’re not losing weight on intermittent fasting. And give a few tips for what you can do about it. Free 30-Day Fitness Group: Click here to join! One of the nicest benefits of intermittent fasting is flexibility. If you work night shift, for example, you don’t have to do the typical feeding window of 12pm to 8pm. 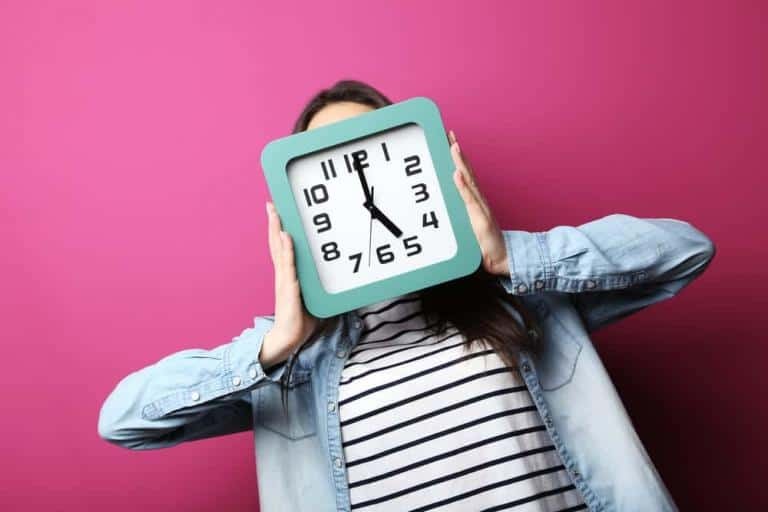 Or if you prefer a different intermittent fasting schedule altogether – you may opt to fast two full days each week and eat a modified diet the other 5. Though intermittent fasting is flexible, it’s still important to be as consistent as you can once you do select an intermittent fasting schedule. If you’re fasting 8pm to noon one day, then 10pm to 2pm the next, your average fasting period shortens and you’re not going to reap all the benefits. Some people like to fast more strictly during the workweek – say 16 hours M-F and cut it down to 12 or 13 hours on the weekend. This is fine and you should still see great results. Try to stay more consistent if you’ve been a little lax and see if that helps. While it’s possible to lose weight fasting shorter periods of time, generally the longer you fast on a daily basis, the better your results will be. For many beginners getting to 16 hours or longer can be a challenge, but you don’t want to dip too low or you won’t see the change you seek. From personal experience the sweet spot is around 14 hours fasting. Any lower than that I find isn’t really long enough. If you’re not hitting 16 hours as frequently as you’d like, check to see how long you are going and see if you can push it just a little bit longer. Also, if you’re having trouble stretching your fasting window, try the salt trick: simply dab a little salt on your tongue and drink a bunch of water. I don’t know why this works, but it really does. It will help you reach your target until you get more used to it. While the beauty of intermittent fasting is that it restricts when you eat rather than what you eat – you still have to do things in moderation. Yes, it’s totally possible to continue to enjoy the foods you love, like ice cream, pizza and french fries, but just because you’re eating one to two meals a day instead of three or four doesn’t mean you can’t completely blow it. For example, a McDonald’s Big Mac, fries and a coke will run you about 1,100 calories. And that’s just ONE meal. If you ate pizza later that day – or even enjoyed a healthy meal but ate ice cream as a dessert you’d be blowing it. Sure, doing this here and there is fine. Life is for living! BUT… you can’t eat crazy every day and expect to lose weight just because you’re overeating in two meals instead of three. If you’re not losing weight on intermittent fasting take an honest look at your diet. You don’t have to go ON a diet, but you much WATCH your diet. Be honest. Do you see room for improvement? 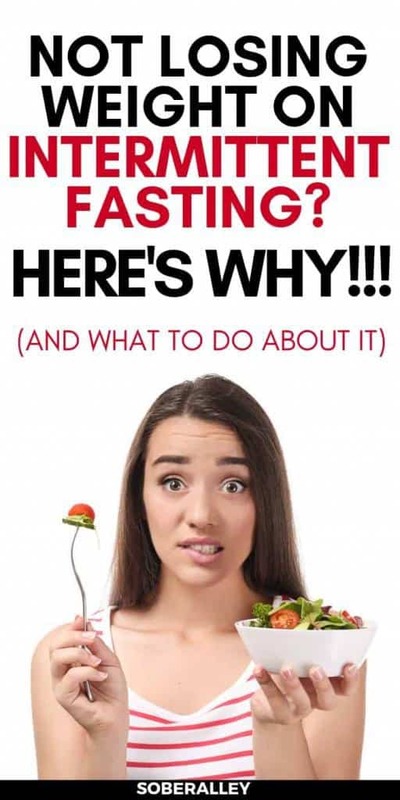 So many people e-mail me asking what’s okay to eat or drink during their fasting window, that I imagine there are quite a few folks out there who aren’t losing weight on intermittent fasting because they’re not actually fasting. Fasting, for the sake of intermittent fasting, means the total absence of calories. Some people feel you should be very strict and consume nothing but water during your fasting window, while others say coffee and tea either unsweetened or with artificial zero-calorie sweetener is fine. Still others feel as long as you keep it below 50 calories or so (perhaps one teaspoon of creamer or low-fat milk) would be alright. In my opinion and experience, any of these options are fine. I’ve had great results losing weight with intermittent fasting both with artificial sweeteners and with a dash of milk or creamer. But anything beyond that will absolutely break your fast. If you’ve been consuming anything other than water, unsweetened coffee or tea, any solid food at all, or any beverage that has more than 50 calories or so… you haven’t been fasting and you won’t lose the weight. While yes, it’s okay to drink alcohol while intermittent fasting (provided it’s within your eating window – it would count as “food”), you need to stay mindful of the fact that alcohol contains calories. If you’re drinking too much alcohol and then still eating full meals, chances are you’re going way over your calorie budget. Just like with eating fast food or indulging in desserts – every once in a while is fine, but if you do this on a regular basis you aren’t likely to lose much weight. One of the most important things you need to be doing when losing weight is tracking more than just one metric. It’s so easy to feel like you’re not losing weight because maybe the numbers on the scale aren’t moving as quickly as you’d like, but the weight loss could show up elsewhere. The scale is definitely a love-hate thing, but it’s important. My advice is to get a biometric scale that tracks more than just body weight. The one I use and recommend is the Renpho Bluetooth BMI Scale. This scale is so awesome because it’s 1/3rd of the price of the Fitbit Aria scale and has everything you need to track your progress. It sinks seamlessly to your smartphone and comes with a free app for tracking your data. The most important metrics are weight, body mass index (BMI), body fat percentage and hydration levels. So, with a scale like this sometimes you can see quite easily that if the pounds aren’t melting off as quickly as you’d like, you can see your body fat percentage is going down, and that lets you know you’re on the right track. Give it a little more time, and the rest of your body will catch up. Sometimes your body will shrink slightly without seeing any movement on the scale. And that’s okay too! That’s why it’s important to measure your body using a measuring tape and track your progress on a weekly basis. I use this simple, cheap Care Touch Skinfold measuring tape and it’s perfect for this purpose. It’s better than a standard measuring tape because it has a little knob that holds the mechanism in place, so you don’t have to struggle with placement and holding for harder to reach areas. I had a week where I lost 0 pounds but 3 inches! Good to know, right? If you’re anything like me you probably hate taking photos, but progress photos for intermittent fasting weight loss are so important. Sometimes a side-by-side photo tells a completely different story that other methods just don’t tell. Plus, it’s so cool to have photographic evidence of your journey! Finally, see how your clothes fit! Pull out that pair of pants wayyyyy in the back of your closet and try them on! You might be pleasantly surprised by how they fit now compared to how they used to. It could take some time before everything fits perfectly, but you will know if you see improvement. Using all four of these methods just might reveal that you actually are making progress – you just need different ways of seeing it unfold. While it’s true that you can lose weight intermittent fasting without exercise, if you’re not losing weight intermittent fasting, that may not be true for YOU. Everybody is different. Just because some people may lose weight without exercising doesn’t mean that you’ll fare just as well. So, if you’re not exercising at all, start. And if you’re already exercising, maybe consider raising the intensity, duration or switching it up! The best thing I can recommend is joining our free monthly 30-Day Fitness Challenge group. 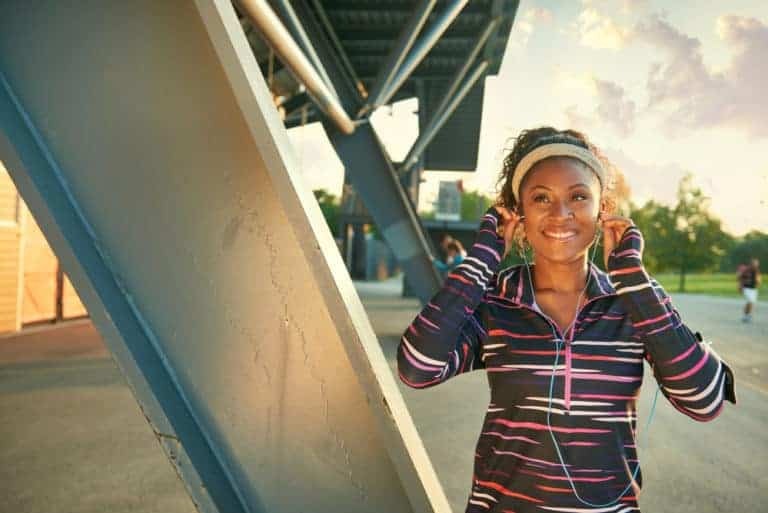 It’s an easy, fun way to sneak in a quick strength-training routine into your day, and most group members are also intermittent fasting, so you’ll be in great company. Also, free prizes are given away each month to top group contributors (Jan 2019 was a Fitbit Flex, and two copies of my Intermittent Fasting Fitness Planner, for example)! Click here or on the image below to join right away! If you feel as though you’re not losing weight on intermittent fasting, you might need to check your expectations. For starters, the more fat and weight you carry to begin with, the easier it is to lose in the beginning. Someone who starts at 250 pounds might lose 5 to 10 pounds in their first week intermittent fasting. But someone who starts at 150 pounds probably won’t (and shouldn’t). The CDC officially says that 1 to 2 pounds per week is a safe, healthy weight loss rate. So, if you’re losing around 5 to 8 pounds per month (not per week), you ARE losing weight. Great job! These days we all want instant results. We want to fast for a couple days, eat whatever we want during feeding windows, and wake up one day a week or two later with our dream bodies. If you feel like you’re doing everything right and still not losing weight intermittent fasting, give it a little more time! Some people will see super-fast results and will drop 5 pounds in a week intermittent fasting. This is even more likely if your diet and exercise were terrible beforehand and you switched to clean eating plus exercise on top of intermittent fasting. 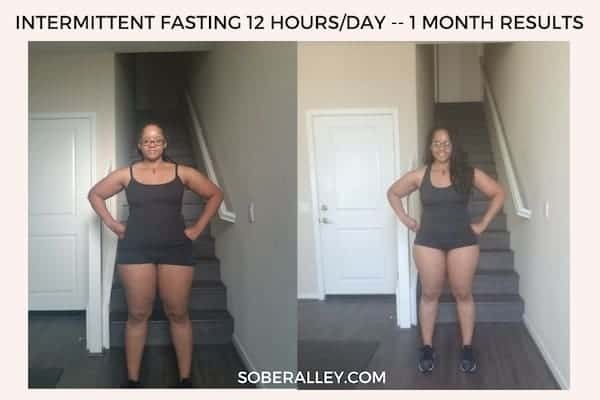 But, again, if you had a halfway decent diet and incorporated even a little exercise beforehand, adding fasting isn’t that big of a leap and you aren’t likely to see a super-fast dramatic result in just a week’s time. If you’ve gone down this list of reasons you may not be losing weight with intermittent fasting and you’re still in your first few weeks to a month, my advice would be to give it a little more time. Finally, if you’re not losing weight on intermittent fasting, there may be an underlying medical condition that you are unaware of. Before you begin any new dietary or exercise program you should always check with your physician, but if you’ve been fasting for a while and following all the guidelines, working out, watching your calorie intake and staying on top of things yet you’re still not progressing, it’s definitely time to make an appointment. Not Losing Weight Intermittent Fasting? There’s A Fix For That! 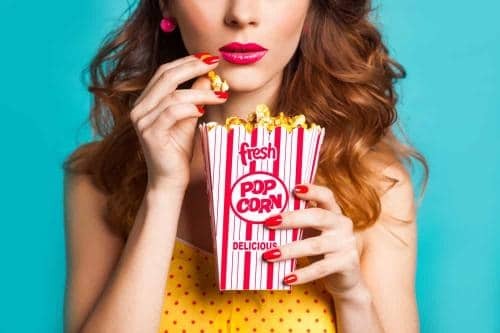 Hopefully this list of ten reasons why you may not be losing the weight you desire on intermittent fasting has given you food for thought. With just a slight tweak in either your methods or your mindset, you should be able to turn your body into an intermittent fasting fat melting machine! For me it’s still too radical method. It assumes that you can’t eat for most of a day! I agree that first of all, losing weight is a long process, especially when you won’t exercise. But to not eat 16 hours a day for regular not strongly determined person is impossible. I prefer methods like Simple Weight Loss System by Samuel F. Valle, which is a three month program during which I lost 18 pounds with really minimal effort. I understand exactly what you mean, Dylan. I found at first that 16 hours was too hard to maintain. I’ve been going strong since the very beginning of the year with a minimum of 12 hours, which I only do once or twice a month. This flexibility works perfect for me. In my experience the longer you work with intermittent fasting, the more normal it gets. As in, you get used to it and becomes just… standard. My average used to be 14 hours, now it’s 16. But the magic is in finding what works for you and your unique situation. I’m glad you found something you like. I”ll check out the system you mentioned. I was just thinking if there’s something new I might be able to try so I can blog about it haha. Thanks for mentioning, and best of luck to you in reaching your goals! Hi I’ve just started the 16/8. Intermittent fasting diet/with the keto diet. And want a few more hints and tips on this diet as I’m not used to it. And really want to lose this weight as I’m following the fasting to the letter with everything I eat and drink. Every where else.so not sure why my weight is not falling off very quickly as I’d like it to. And wondering why when others are maybe losing maybe 8/or 10/or more pounds. And just wishing I could do the same as lm sticking to it religiously and not faltering in anyway and wondering if I could be doing something wrong.in anyway. And wounded if any one could please tell me please as my current weight is about 320lbs.and just should not be this much weight as it gets me down and I really don’t want to get no bigger weight. Than I already am. Hi Diane! If you’re following everything to the letter and you’ve given it enough time, perhaps there’s a medical issue keeping you from losing the weight you desire? Usually we think we’re following everything but there can easily be something missing. Have you considered logging and tracking your food with a calorie tracker such as MyFitnessPal? It can be time-intensive at first, but it’s a real eye-opener. Also are you moving enough? Even a 10 minute walk 3 times a day is enough to set the wheels in motion. If you’ve really tried *everything* and you’re still not getting anywhere, please go get a checkup to make sure there’s nothing else wrong. Best of luck!